AN all-round performance from Geelong Falcons’ midfielder Harry Benson has earned him the honour of AFL Draft Central’s TAC Cup Player of the Round. Benson was named best on ground in the Falcons’ thrilling four-point win under lights at Torquay. The Cannons looked on track to cause a huge upset when they led by a point late in the final quarter – but Benson was able put the Falcons in front with a goal minutes before the final siren. Benson had 29 disposals at 62.1 per cent efficiency, including nine effective kicks (six long). With four marks, eight clearances, seven inside 50s, five rebounds and a goal, he worked hard across the field to create an even balance in his best game for the season. 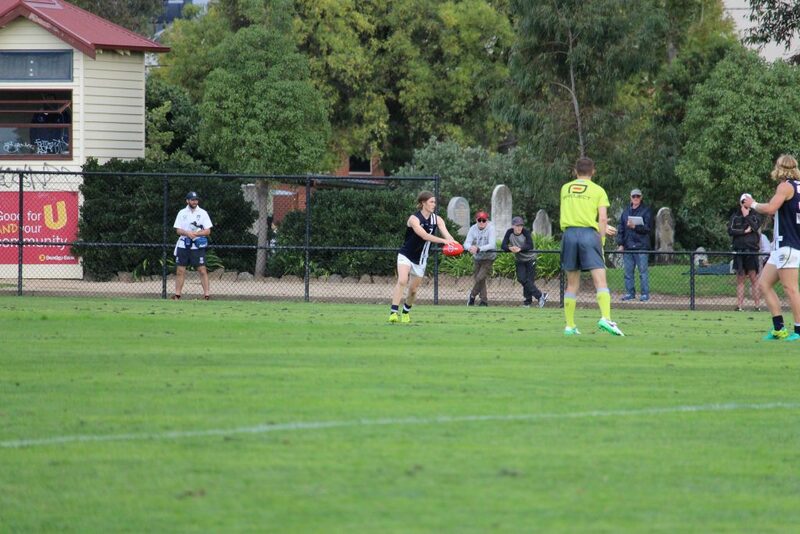 The Geelong Falcons’ number seven also laid 11 tackles, four more than any other player on the field. Racking up a total of 137 Dream Team points, it brought his average to 101.25 for the season. His previous season averages were 20.4 disposals, 3.6 marks and a whopping seven tackles, but it was his inside 50s and rebounds that lifted against Calder, having averaged a combined four entries and exits across the ground coming into the match, he produced 12 on the night. His eight clearances were also more than double his average of 3.1 per game.